With the Fourth of July just around the corner, people throughout New Jersey are getting excited to celebrate with their friends and family. One of the most popular festivities associated with the Fourth of July is the display of fireworks. As beloved as fireworks are on Independence Day, it is important to understand the laws and safety surrounding them. Only individuals who are 16 years of age or older can lawfully purchase, possess, and use some sparkling devices and novelties. 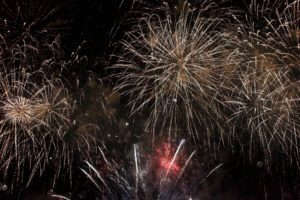 However, the only fireworks that are legal in the state are those that are hand-held sparklers and ground-based smoke devices, noisemakers, and glow worms. Fireworks that leave the ground are still illegal. If a person sells or possesses with the intent to sell illegal fireworks, they will be charged with a crime in the fourth degree. If a person purchases or uses an illegal firework, they can be guilty of a petty disorderly person’s offense if they do not have the correct permits. Fireworks are very fun but very dangerous. In 2016, there were 1,100 injuries related to fireworks across the United States. Typically, the injuries included significant burns. Over 30 percent of the injuries occurred to children under the age of 15. If you have questions about NJ fireworks laws, contact us today.